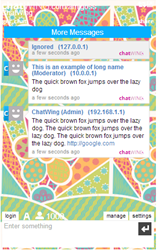 Chatwing has finally stepped into a new frontier when it released its Android chat app on Google Play. Now, Android users can finally enjoy chatting with their friends and everyone else on their mobile phones. After the installation of the chat app on their mobile phones, users can immediately start chatting on one of the two default chatboxes available. There will be no need for a registration process for they can use Chatwing’s chat room software multiple login methods that make use of their social media accounts to join in instantly – an example would be to use a Facebook account to do so. 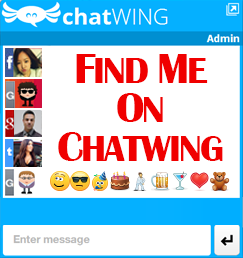 The users can also use the app to create their own personal chatrooms but can only do so if they logged in using a Chatwing chat software account. To get one, they’ll need to finish a simple registration process on Chatwing’s homepage. Creating an account only requires the user to type in a name – if it is available then it will automatically create it. If the user wants to join other chat app chatrooms besides the other two chatboxes, then he/she can use the Search function. The user can bookmark that chatroom afterwards for easier access the next time he/she wants to visit it again. The development of this app is far from over. The Chatwing developers are still adding more features to the app, like the Admin controls which will provide more freedom to its users when it comes to managing their own chatboxes. For more information regarding this topic, just visit the Chatwing homepage.